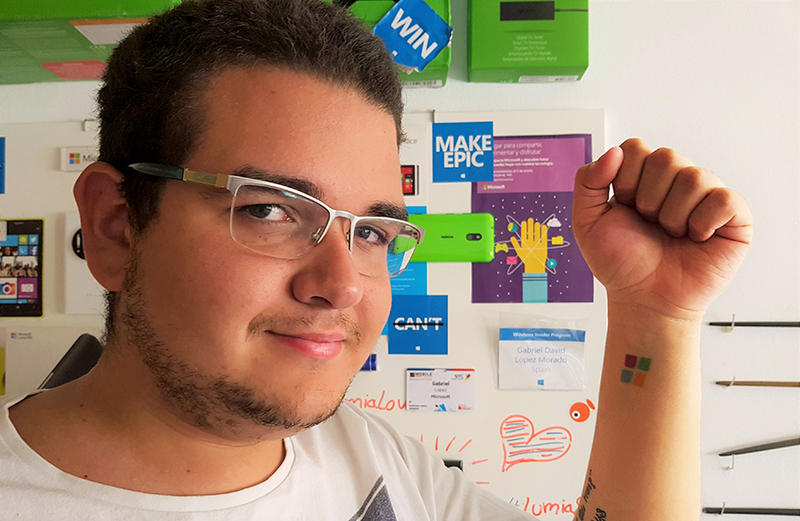 Gabe Morado, Windows Insider and Microsoft superfan, chats with us about good marketing and what makes a brand come to life. A marketing and advertising student, Gabe is fascinated by the way creative marketing can shape perceptions and enable companies to build an authentic relationship with customers. Gabe’s crush on Microsoft was sparked by the Lumia 800 smartphone, but it took more than a first date for this tech enthusiast to become a superfan. In November of 2013, a pop-up called “Espacio Microsoft” gave Gabe hands-on experience testing cool new gear. He then joined the Windows Insider Program when it launched the following year, and shortly thereafter entered the Windows Insiders to Campus competition, only to be selected as one of ten winners. Gabe marks his Microsoft milestones by keeping the packaging from each product purchased. And what does he do with all those boxes? He hangs them proudly on his wall.